I just returned from my quarterly retreat with a group of Entrepreneurs from all over the East Coast. During these retreats we spend time discussing not only our businesses but our personal lives as well. Many of the discussions go late into the night and some of the best conversations happen as we wind down the formal part of the day. A 2AM or 3AM bedtime is pretty common followed by 8 AM starts. Even with the late hours and early starts, the entire retreat is energizing and we go home better than when we arrived. A phrase that has come up during the last couple of retreats is our Superhero Powers. We all have them; Many of us use them; Some of us have yet to discover them. I am not speaking Avengers or Justice League type superpowers, I am not even talking Jedi mind tricks (though I know a few folks who have those and use them affectively). I am talking about that power you have that makes you special. In fact, I am sure you have several! Think of what your greatest assets are- chances are that is where your special superpower lies. It may be curiosity (asking lots of questions), it may be listening, it could be empathy, it might even be making people feel at ease. 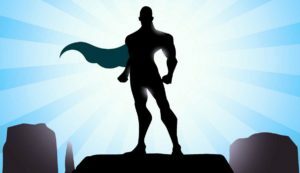 All these are examples of real-life Superpowers. Simplicity is mine. I like to get to the heart of the matter. I am good at breaking down complex tasks into simple steps. I like to keep things short and simple. What is your superpower? What are you really good at? We all need your superpower. Unleash it, don’t be afraid of it.